A LEGENDARY MOD, A LEGENDARY GIVEAWAY - GEEK VAPE AEGIS! A vaping milestone rightfully called a legend, the Aegis leaves nothing to be desired. 100% in every way, this mod is guaranteed to bring pure vaping happiness to the winner. GOOD LUCK EVERYONE! 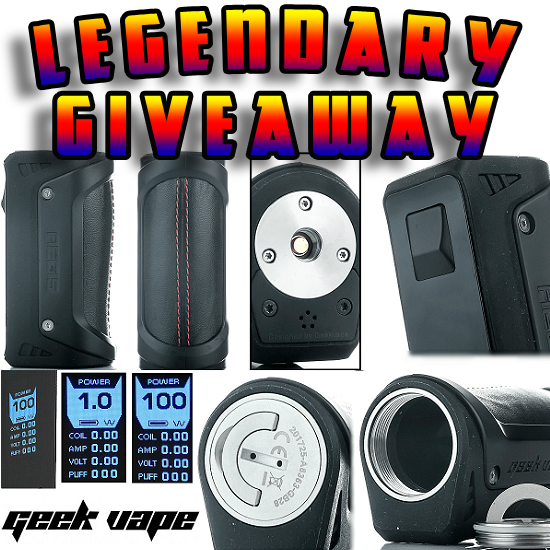 The winner of the lottery #1101 for A LEGENDARY MOD, A LEGENDARY GIVEAWAY - GEEK VAPE AEGIS! was Mircea Vasilescu from Arad, Romania on Nov 26, 2018. 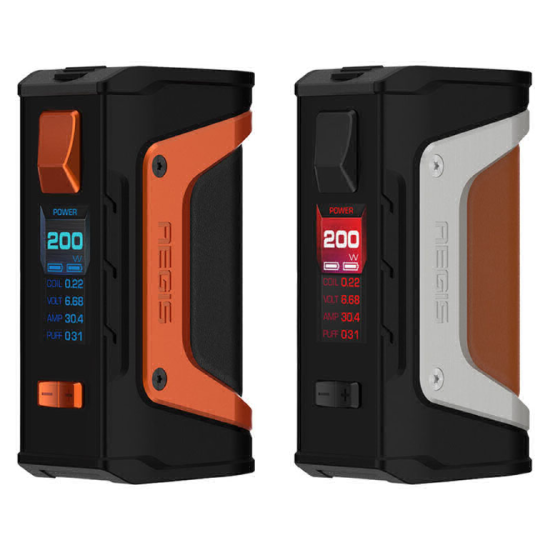 The Geek Vape Aegis 100W TC Box Mod delivers one of the most complete vaping platforms around, designed to withstand tough environments with the capability of firing up to 100W and sophisticated temperature control regulation powered by a single 18650 or 26650 (both sold separately). Made in collaboration with the inspirational designer behind Heatvape Invader Mini, the chassis of the Aegis 100W is built around the utilization of a single 26650 platform for long-lasting battery life, with an aesthetically balanced curvature for a modernized impression. With the help of a battery sleeve, the Aegis 100W can accommodate a single 18650 battery cell for versatility in power usage. The battery is bottom-loaded, open and closed by a threaded battery cap for secure attachment, optimal safety, and eliminates battery rattle. Remember to share the giveaway using the social media buttons on the site - IT'S WHAT WINNERS ARE DOING! Along the aluminum and zinc alloy material construction, Geek Vape adopts an advanced LSR Injection Molding technology that can easily withstand dirty environmental, shock-absorbent, and water-resistant capability. A rocker-inspired firing button in a trigger-style structure provides user-friendly operation, with an intuitive OLED display screen for organized informational readouts. 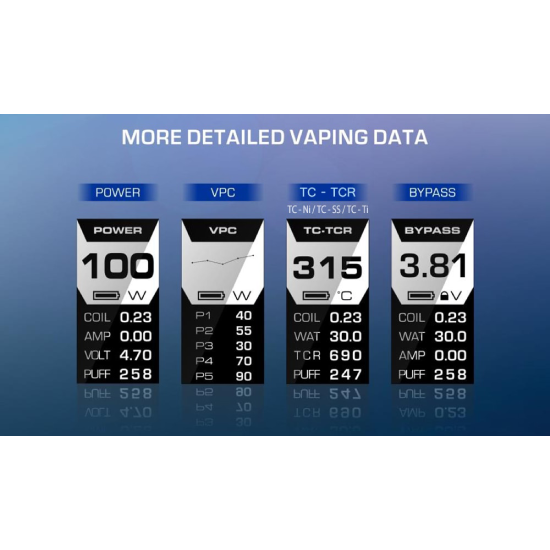 The Aegis Mod has a maximum wattage output of 100W, and several output modes, such as: Power Wattage, VPC, TC-TCR, and BYPASS Mode. Under temperature control setting, it has Temperature Coefficient of Resistance (TCR) setting, a proprietary technology to adjust resistance of a wide range of heating elements to different ranges. The USB port is safely covered on the top of the device, secured by two torx screw and meant to only be used for firmware updates. 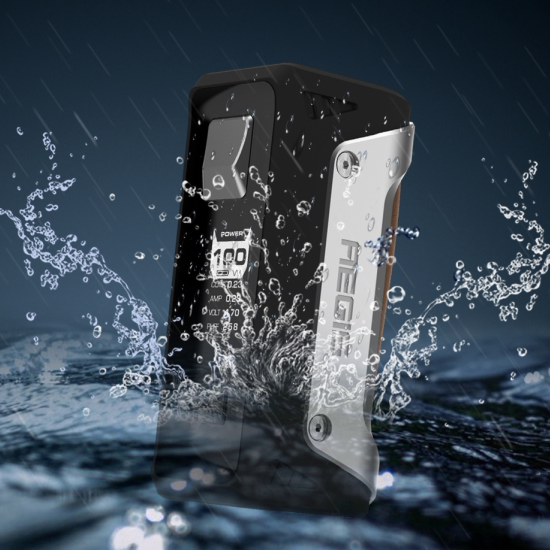 A sensational device crafted with modern chassis designs and comprehensive output functionalities, the Geek Vape Aegis 100W TC Box Mod reigns as one of the best single 18650/26650 output device overall!